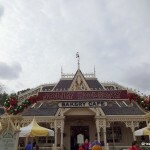 When Heather took us inside Jolly Holiday Bakery for a first look last January, I watched right along with you to see all of the amazing new treats that this new, Mary Poppins-inspired spot was offering. But one in particular caught my eye! And on my my visit to Disneyland this weekend, I hightailed it over there to sample my very own Mickey Tart! 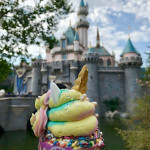 While there are many, many awesome-looking treats at Jolly Holiday (and believe me, I tried a LOT of them…more to come! ), that Mickey Tart beckoned to me. I couldn’t wait to try it! But just like a Mickey ice cream bar, those ears proved to be irresistible. They were definitely coming off first! And I couldn’t wait to experience the taste and texture of that filling. As I broke into it, the firm, fine crumb of the tart shell hinted at the shortbread-like texture. There was plenty of butter and just a touch of sugar, yielding a slightly sweet flavor that reminded me of a cross between a standard pie crust and a graham-cracker crust. The filling was super-creamy — like a thick, milk chocolate ganache. I knew it reminded me of something, but it took me about an hour to realize what it was: this tastes exactly like that creamy center of a Lindt milk chocolate truffle. You know, the ones in the red wrapper? Pretty amazing. So if you happen to be in Disneyland and craving some chocolate, I think this is the perfect answer! This will definitely be on my list on future visits. What are your thoughts? 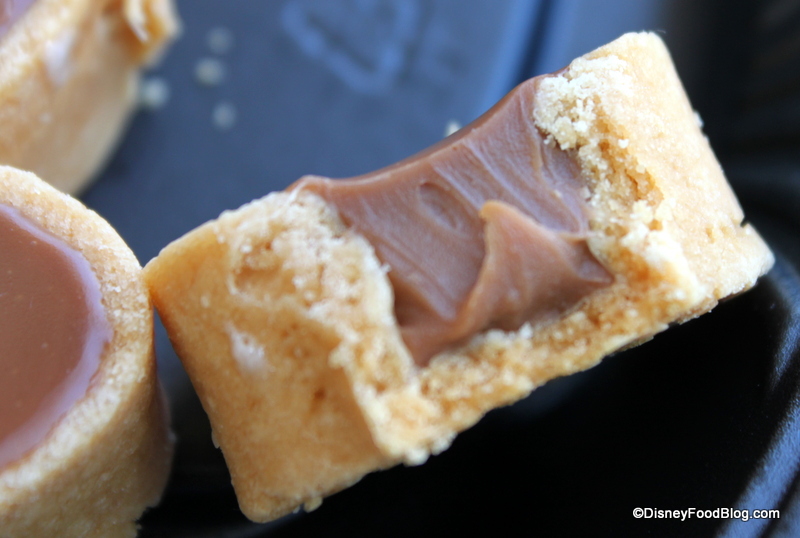 Did the Mickey Tart at Jolly Holiday Bakery just make your Disney Treat Bucket List? Leave a comment below and let us know! Looks amazing. Wish they had them in WDW !! And I would KILL to have cute little tart pans shaped like Mickey !! OMG. They should totally sell them. I love shortbread so much I would prefer to just eat that empty shell! LOL! 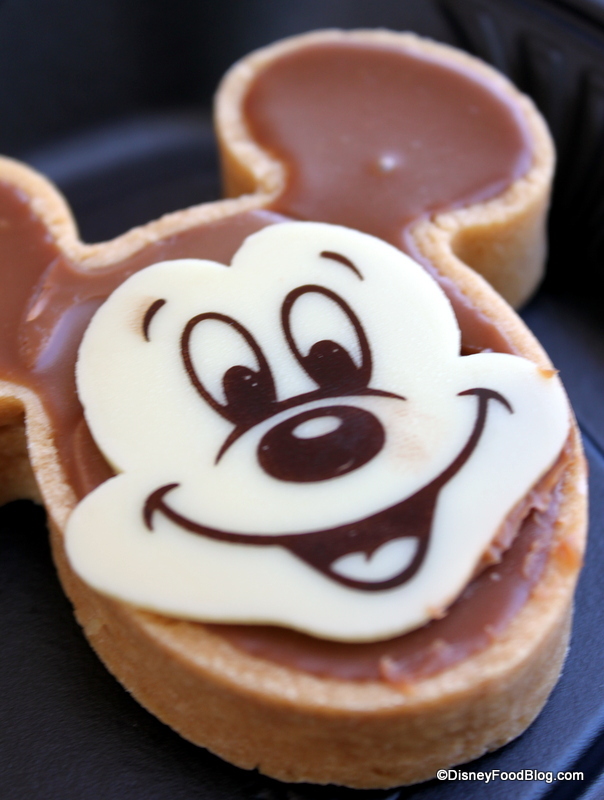 Wishing and hoping for the day the Chocolate Mickey Tart makes it to Disney World! Catherine — Ha ha! Your comment is making me laugh! 🙂 It truly is delicious, and I agree about the Mickey tart pans! Elizabeth — OK; you get the shell and I’ll eat the chocolate. We make such a good team! Ashley W — Ha ha! Agreed! Besides the GREAT FOOD there is one other great thing to do. Stop and say hi to Oscar there! Oscar is the head chef of Carnation Cafe and he is hanging out at Jolly Holliday visiting with the guests until Carnation Cafe reopens. Oscar has worked at Carnation Cafe for over 55 years! I cant wait for my trip in July, I want to try a tart, but in your pic I saw Lemon bars too 😛 I might just have to get both. I have a feeling Im going to be do WAY more eating on this trip then I ever have. Between JHB and Cars land…..O BOY!!! This looks amazing! OMG I want it now!!! 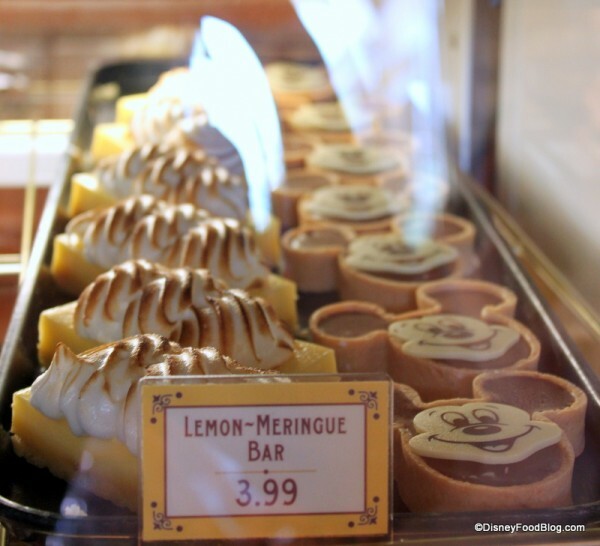 I opted for the lemon-meringue bar right next to it instead when we ate there this weekend! 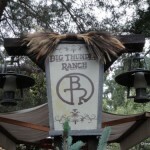 The overall feeling was that it was really a great meal at a good (disney) price. Everyone left full and happy. OMG, my Mom and I love the Lindt milk chocolate truffles! They’re incredible. I hope they sell these in WDW by the time I get there this Nov.; I’d love to take one home to my Mom. Ever since I discovered the Chocolate Mickey Tart….I always have to get it every visit! i also have to get it with the Abuelita hot chocolate. You would think that it would be too much chocolate, but the two are actually far from overwhelming. This is the same thing at Art of Animation, correct? I am sooo excited to eat this! They are the bomb. I have one everyday in the park. Thanks for this post! I kept seeing it in photos but I couldn’t find a post about what it was like! It sounds amazing, I can’t wait to try one! 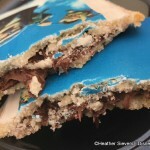 They have them now at the new and inproved Boardwalk Bakery – But… they have the Chocolate shell and it is an Oreo and cream filling. 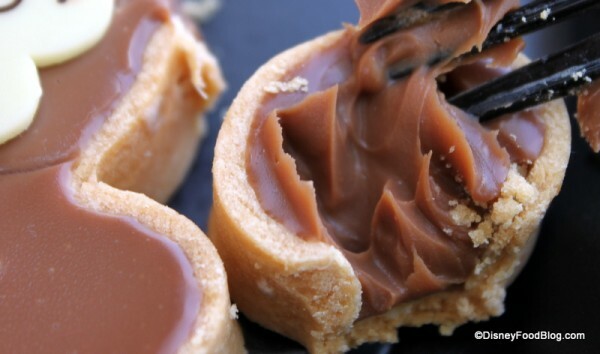 Was ol but not as good as I assume the shortbread shell and just the plain chocolate would be. But they are just a cute.